Our Mat Is Filled With High Quality And Environment-friendly Cotton, Healthy And Environment-friendly, With Good Resilience That Can Stay Shaped For Long Time Using, Good Rebound Effect Let You Freely Relaxing On The Mat Without Any misgiving. Perfect For An Unexpected Sleep Over Guest, Camping And traveling. Wherever You Go And Whatever You Do use. 1.Comfortable - This Folding Mattress Is Plush, Soft, Breathable, And Super Comfortable. 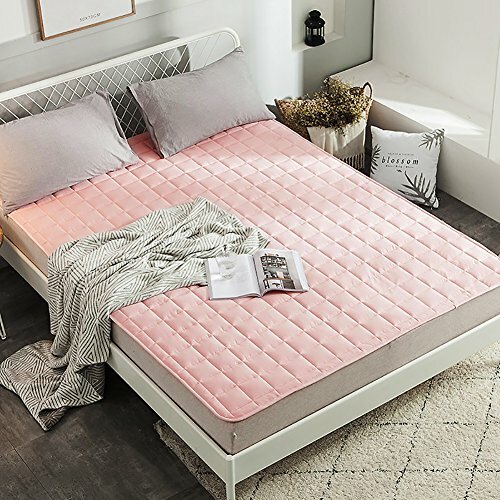 4.this Mattress Pad Is A Perfect Choice If You're Considering A Comfortable, Soft, Breathable And High Quality Mattress Pad. Any Questions, Please Feel Free To Contact Us anytime. Our Excellent Customer Service Will Answer You Within 24 hours. Portable - this mattress folds easily for travel or storage and is perfect for small apartments and tight spaces. Easy care instructions-machine wash,Cool water,Delicate cycle,Tumble dry low.Fade resistant so it will stay fresh and new. Important notice: The soft carpet was folded and compressed in bags for transportation. So when the product arrive at your address,There may be some creases,It will take 2-3 days for the creases to come out completely rebound to the state of the picture shows. If you have any questions about this product by SANDM, contact us by completing and submitting the form below. If you are looking for a specif part number, please include it with your message.